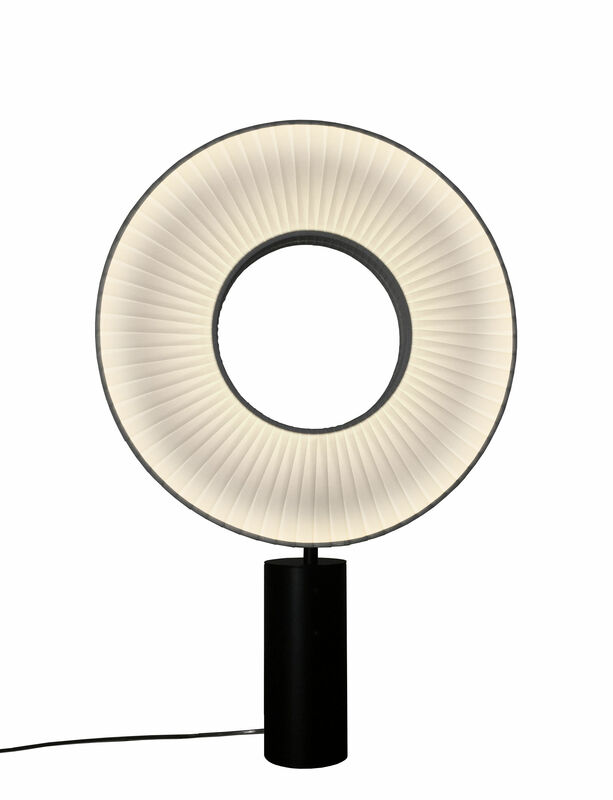 With its original form, the Iris table lamp showcases new dimensions and proportions with a great elegance. It is made up of a large light disk with holes in its centre (Ø 50 cm) mounted on a black metal base. This very sophisticated disk coated in white pleated fabric is surrounded by black metal. 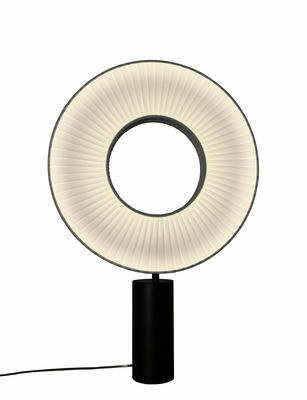 The two sides of the disk are identical and bright, which allows for double-sided lighting. The LED strip placed inside of the disk gives off a double flux light. The lighting therefore spreads over the central and peripheral part of the disk. Iris offers a wonderful interplay of shadows and light thanks to the different thicknesses of the fabric in the folds. The finish is splendid: vivid, vibrant, soft and warm, the light seems to come alive with movement.